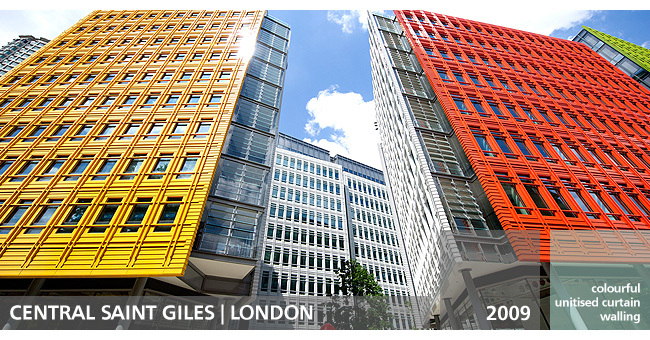 Central Saint Giles is more than an office building. 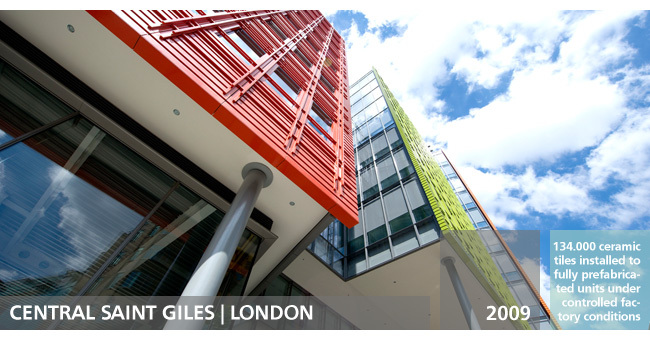 It is a workplace comprising office space, retail, restaurants, cafes, residential and outdoor public piazza. 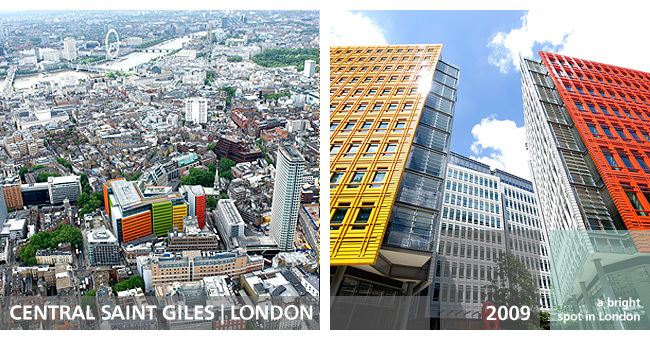 Renzo Piano’s design was inspired by the colourful neighbourhood. Schneider delivered the prefabricated unitised system of glazing and brightly coloured ceramic tiles reflecting Renzo Piano’s vision.